West Of Memphis | Shut Up Hamish! ← If anyone has a spare few minutes..
What a fantastic film, made even more fantastic by the appearance of Peter Jackson, Damion Echols and his wife at the screening who gave up nearly an hour of their time to answer questions after the film was screened. I managed to shake hands with all three, so forgive my giddy fanaticism, but I’ll try and give a little review of the film. Having not seen any of the Paradise Lost films at this stage and being a relative newby to the West Memphis Three case up until this screening, I can only judge the documentaries merits on what it achieved alone. I think it probably benefited my enjoyment of the documentary having such a limited knowledge of the case up until now. The film did a good job of summarising the back history to the case, speeding through the original botched murder enquiry and joke of a trial with enough detail to keep us following the events while not getting bogged down by the sheer amount of content that could be considered for this section. We are introduced to all the people important to the case, through interviews, archival footage and occasionally footage from the Paradise Lost documentaries. Not much though, so anyone that has already seen these films won’t feel like its treading water. In case anyone is completely new to the subject of the documentary, I’ll give a brief description. In 1993 in West Memphis, Arkansas the bodies of three boys in West Memphis, Arkansas were found hog tied, naked, beaten and mutilated, dumped in a local river. Three teenagers were convicted for the crime – Damien Echols, Jessie Misskelley, Jr and Jason Baldwin, and sentenced to life imprisonment, with Damien Echols given the death penalty. The prosecution during the trial asserted that the children were murdered as part of a satanic ritual. It became pretty clear that they were innocent however and that the police botched the investigation and a whole lot of people failed to do their jobs properly, including the prosecution. Having too much at stake, in terms of their careers, and the careers of their friends, their money and their comfortable lives, they’d rather let an innocent man be killed by the state and let others live the rest of their lives in prison rather than admit any fault. This inspired the original documentary, Paradise Lost, which did much to help inform the world of the plight of the Echols and company. This film has a large role to play in keeping Echols from being killed, as well as the work of his wife Lorri Davis Echols. 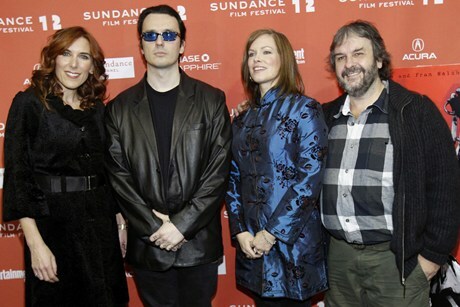 It was after viewing the original Paradise Lost in 2005 that Peter Jackson and his wife got involved, providing a donation to help re-open the investigation and free the West Memphis Three. A DNA comparison between the West Memphis Three and the samples originally taken at the crime scene proved none of the convicted to be at the site of the crime. Evidence was also gathered that linked one of the boys step fathers, Terry Hobbs, to the murders. In spite of this, in September of 2008 Circuit Court Judge David Burnett denied the request for a retrial, citing the DNA as inconclusive. The decision was then made to begin this documentary, as something more was obviously needed to get through the corruption and incompetency of the Arkansas justice system, to get the three men free, and to put the real murderer of the three boys behind bars. After setting up all the key events necessary to understand the convoluted nature of the injustice, the film concentrates on building a case for Terry Hobbs as the primary suspect for the murders. In that way the director of the film, as Sir Peter Jackson so rightly put it at the Q & A, becomes just as much of an investigative journalist as much as a documentarian. Family members of Hobbs are interviewed, including his ex-wife who discusses his history of domestic violence. The profile of Hobbs emerges as a violent, disturbed man, one who regularly bet his children and wifes children, and one that is also a pathological liar. The neighbour of Hobbs who lived next to him in Arkansas is interviewed, who tells of one case when Hobbs broke into her house, into her shower and grabbed her breast. She swore to this in an interview, he completely denies it in a later police interview. This is only one of many accusations against him that the film shows him to repeatedly shrug off. His DNA was also found at the site of the crime, in the form of a strand of hair found between the shoe laces used to hog-tie his step-son Steve Hobbs. Further, statements from those who know Hobbs and his family begin to emerge, that refer to the ‘Hobbs family secret’. Hobbs’ son is confirmed by many of his friends to have confided to them that this secret is that his Dad killed the three boys in Arkansas. I apologise if I’ve gotten any of that information wrong, but that is much of basic evidence that the film builds to make a case for Terry Hobbs as the murderer. It indeed seems very likely, although less likely as to whether there will ever be a retrail to convict the real murderer. It seems that the police, law enforcement and justice system of Arkansas are more than happy to keep sweeping the case under the rug in order to protect their own lives. The films ending, explained by Peter Jackson at the start of the film to be not the ending that had hoped for, saw the West Memphis Three released from prison, but only after agreeing to an odd statement of guilt that sees them able to maintain their innocence while still being stuck with the guilty verdict. The film ends with them free, but with the guilty verdict yet to be overturned. A successful documentary as it managed to get me thinking, in particular about the justice system. This is only one case out of many where innocent men are sent to prison for crimes they did not commit. Damien Echols at the Q and A discussed that he was fairly certain at least three other men that he was on death row with were innocent. One of these is dead, one is not likely to escape execution and one is in the process of clearing his name. Regardless it shows that there is certainly something wrong with justice systems of the world, and especially the death penalty. If this film covers several of the same points as Paradise Lost, and having not seen this I am not totally knowledgeable, I think it is not a big deal as both those films and this one serve the same purpose; to see innocent men free and point a large finger at the corruption of the justice system. It was also a very moving experience, heightened by poetic imagery and a great score provided by Nick Cave and Warren Ellis. I believe we need more documentaries on this topic, perhaps some looking at the New Zealand justice system could be warranted. If anyone has any questions regarding what was talked about at the Q and A feel free to ask. It was a good hour of questions and many aspects of the film, the case and Damien’s time in prison were discussed. *A good follow up documentary to this would be Werner Herzog’s recently release Into The Abyss, a look at the lives of men on death row. I have only just began to watch it, but it seems a dark and moving film, features a more serious Herzog (but no less riveting) than some of his recent documentaries.